The Exo Terra Digital Thermo-Hygrometer is a combination thermometer and hygrometer. This 2-in-1 precision instrument is equipped with a remote combined sensor for accurate temperature and humidity indication, and has a programmable minimum/maximum memory setting which can be controlled with a single button. 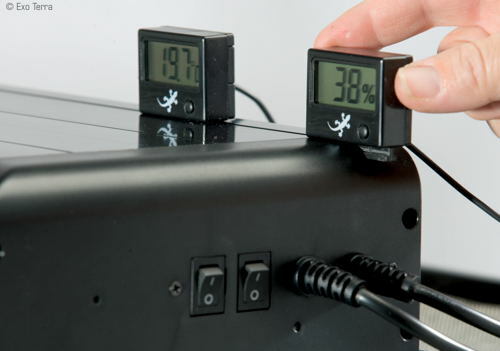 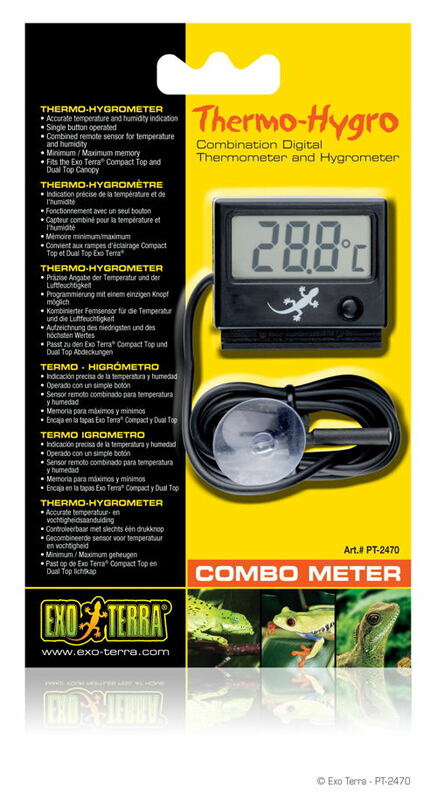 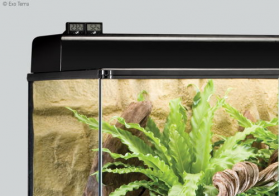 Durable and easy to use, the Exo Terra Digital Thermo-Hygrometer can be installed in one of three ways with Velcro (included), with a screw, or by simply sliding it into position on top of the Exo Terra Compact Top or Dual Top Canopy.